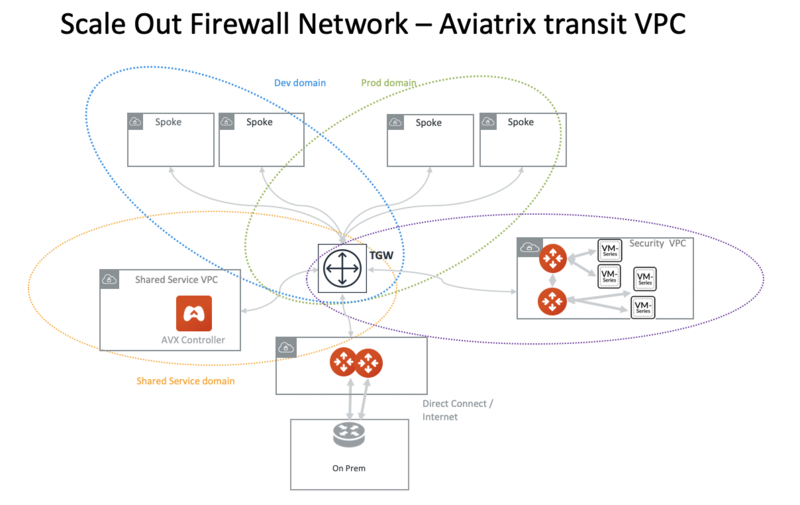 For enterprises that wish to deploy firewall in AWS, Aviatrix’s FireNet deployment model provides the best performance and automation. Full Traffic Inspection With FireNet, North South (on-prem and cloud), East West (VPC to VPC) and Internet bound egress traffic can be inspected by firewall instances. No IPSEC Tunnels No IPSEC tunnels connecting to firewall instances as opposed to ECMP VPN deployment model, maximizing each firewall instance throughput. No SNAT No SNAT function required to be performed by firewall instances for east west traffic inspection as opposed to the ECMP VPN deployment model, resulting in instances in Spoke VPCs having complete visibility of source traffic. 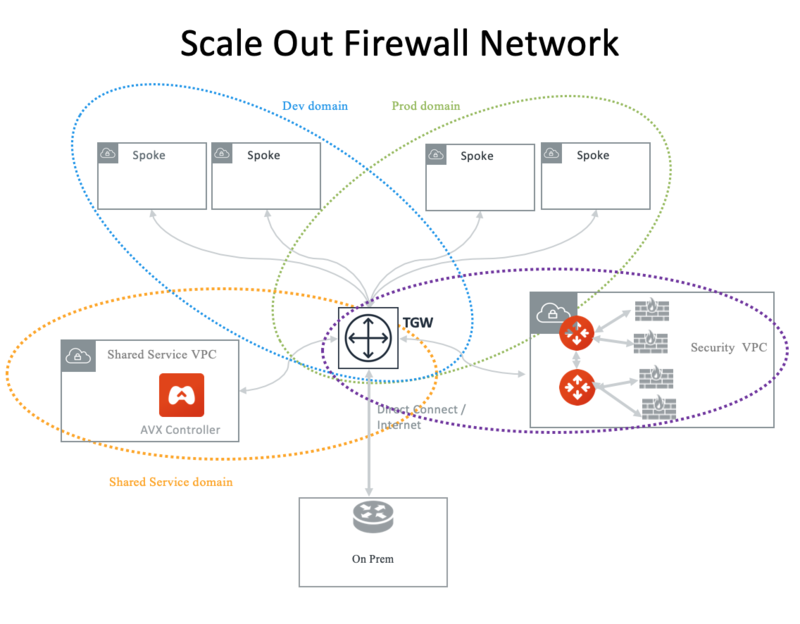 Scale Out Multiple firewall instances can be deployed as a group to meet the demand of increasing workload. Policy Driven Policy driven workflow allows you to customize which VPCs traffic should be inspected. Vendor Integration Launch Palo Alto Networks VM-Series from the Aviatrix Controller console to simplify deployment. Automation The Aviatrix Controller automatically updates Palo Alto VM-Series route tables when on-prem route changes or VPC attachment changes. 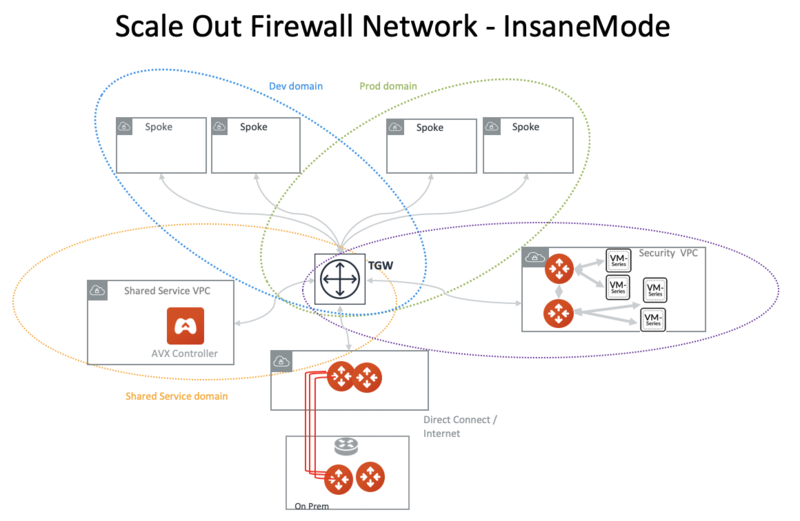 FireNet supports AWS Transit Gateway (TGW), as shown below. In the future release, the hybrid deployment can be using native AWS Direct Connect Gateway. AWS Transit Gateway (TGW) supports VPN with ECMP load balancing. With is capability, you can launch multiple firewall instances in a load balanced fashion for Egress Inspection and VPC to VPC traffic inspection. The problem with this deployment is performance. The IPSEC tunnel limits each firewall instance to be capped at 1Gbps. When this architecture is deployed for VPC to VPC inspection, traffic goes through VGW (the other end of the IPSEC tunnel) twice, further reducing its throughput to 400Mbps. What this implies is that each firewall instance can only operate at 400Mpbs throughput. This is much lower than what firewall instances can do without IPSEC tunnel.